[By Nick, for 2015 only] With Dubba being slightly afraid of the remaining Haagen-Dazs Artisan Collection (the banana rum jam terrifies me as well) looks like I'll be doing the clean up job. First up, their collaboration with the good batch! I was actually going to go to the city again today so that I could try to grab some of the good batch's products at Smorgasburg. Sadly, things came up and I'm still in Albany writing this review for you. The good batch makes a goodwich, which is her take on an ice cream sandwich, and ice cream cakes that look awesome. I really wish I could've tried one before posting this review but not everything goes as planned. Whatever, I have ice cream to eat. Removing the seal, you can see the cinnamon sprinkled base. You have to scoop down a little bit before you really start hitting cookie chunks. And once you do, it's a cookie land mine! The ice cream doesn't really strike me anymore than Haagen-Daz's normal vanilla but that's not a bad thing either. There's hints of cinnamon but if I didn't know the base was supposed to be flavored as such, I'd think it was just crumbs from the cookies altering things. 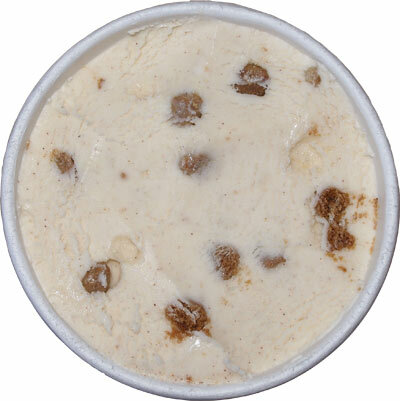 Speaking of the cookies, they're obviously the star of this ice cream. This could be a good thing or a bad thing depending on who you are. If you love ginger and ginger snaps, you'll love this flavor. If you're not too fond and we're hoping for the molasses or other spices to show up, you'll be disappointed. Thankfully, I love gingery things even if they don't necessarily have souls. I prefer soft cookies normally but these cookies add a welcome crunch to every spoonful. The flavor is dominantly ginger. I could barely pick out any of the other spices but like I said, I enjoy ginger. The cookies do add a bit of a burn to the product which is to be expected. If you get too many cookies (which is possible) the burn can get a bit overwhelming. Thankfully there's delicious ice cream near by to help tame the heat. I'll say it again though, you need to enjoy ginger to love this one. I know this will end up being a polarizing flavor for people. I say give it a shot unless you can't handle an ice cream with a bite or a lot of ginger. My next mission while in NYC, try these cookies fresh! Dubba's Scoop: If you are wondering why the pictures look like I took them, well, I did! I picked this one up on sale thinking my wife would enjoy it... well, after I had myself a nice taste test first. I take a few bites and I'm enjoying the mild flavoring of the high end base. It's a nice light cinnamon flavor and then I start thinking that I detected just a hint of ginger that had come off of the cookie bits. I dig down and hit oh so many delightfully crunchy cookie bits. Now, Nick warned us about the spices and if you eat the cookie bits by themselves (the ones from the picture so completely without ice cream)... oh yeah, there is a burn. Whoa. I won't be doing that again hehehehe. You definitely want to scoop some ice cream with these robust cookie bits. All that said, this is still a top notch product and you should definitely try it if you've been tempted. Oh, and yes, my wife was more than happy to finish off this pint. Why do both this and Dreyers' Snickerdoodle Custard both have to burn? Ick. Is this a new thing for ice cream this year? This is a very pleasant flavor with the base and ginger/molasses combining well; would be a must buy without the burn but still quite good. Ok, just tried the banana jam, and it has very muted flavors. The vanilla bean and banana are the dominant flavors, the lime and rum are nearly non-existent (save for the ribbons of color it adds)... I'd say to not be scared but I'm not the one writing the reviews. Tried a few of this line and it's my favorite by far! Jason, thanks for the insight. Dubba actually just picked up banana rum jam for review sparing me the task. Jim, companies can get heavy handed with spices. I liked the burn but I can easily see how it's a put off. Anon, I've only had this and the brigadeiro flavor and would rank this one easily above it. I absolutely love this flavor - I think the base the the cookie pieces complement one another very nicely. I didn't notice a "burn" in the two cartons I have eaten. We all love ginger but definitely felt the burn in our family - this ginger flavor is just too overwhelming. Won't be buying this again. Awful. No one in my family liked it. First ice cream I actually threw away. Love, Love, Love this ice cream. 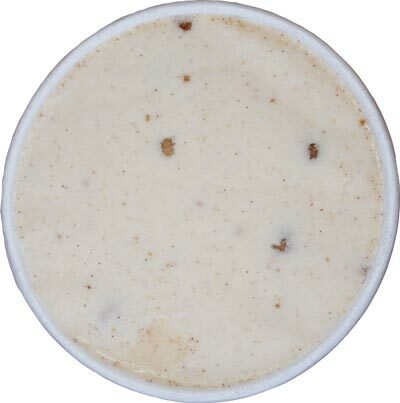 In fact the ice cream had me on the good batch website ordering the ginger molasses cookies. For me there was no burn, I could taste the sweet combination of the ginger and molasses. 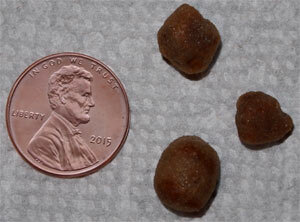 There was a mixture of soft to a but crispier cookie bits. Also loved the amount of cookie bits in the ice cream. I bought it to try and went back to the store and bought two more pints. This is now my third favorite flavor. Rum and Raisin and coffee were the other two and I also love the vanilla beans. Any way this was a flavor I definitely enjoyed. Haven't been enticed to try any of the other artisan flavors. I've tried all of Haagen-Dazs' Artisan flavors and not only is this my favorite of theirs, it is one of my favorite flavors of ice cream, period. I didn't notice any burn from the ginger either. It was creamy and full of flavor. I LOVE it! This is brilliant or was brilliant with apple pie. I can't find it anymore and suspect it is discontinued. I found a lot of the discontinued Haagen Dazs ice creams at Grocery Outlet (near expiration store) for around $0.99 cents a pint. I stocked up on the Ginger Molasses Cookie. I was almost in tears when you guys discontinued the ginger molasses ice cream!!! That was the best ice cream I ever tasted!! I use to buy 6 tubes at a time. 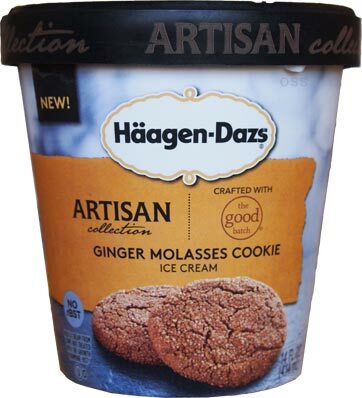 I usually just eat chocolate ice cream but I was at Walmart and the were giving out samples of the ginger molasses once I tasted that no other ice cream could satisfy me. PLEASE put it back on the market or tell me where I can get some! !